There are many reasons why Ancient Rome holds such a fascinating and major spot in our history books and collective memories. 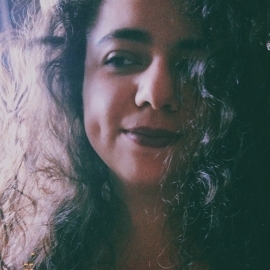 Maybe it’s the military strength the Eternal City had or the lands that spread all around the Mediterranean covering most of the world known back then, or the timeless art and literature. Or maybe it’s the foundations of society and civilisation that the Romans built, so strong and unshakeable to last thousands of years and make up the basis of our modern way of life. The Romans invented the political life we know today, the laws and juridicial systems, democracy itself— before they passed from being a Republic to being an Empire, of course. 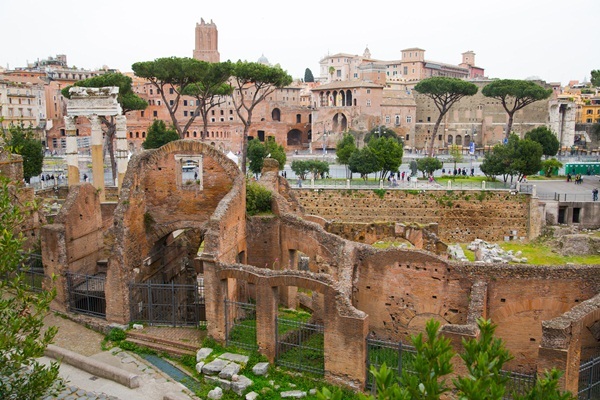 And the place where all of these institutions thrived was the true heart of Ancient Rome, the spot where all roads ended— the Roman Forum in Rome, nestled between the Palatine and the Capitole, two of the seven hills upon which the Eternal City was first built. While people might be more familiar with the blood-stained sands of the Colosseum, it was within the Roman Forum that Romans discussed politics, practiced law, talked finance and worshipped their most important gods. Every major Roman city had a Forum, but the one in Rome held the title of Forum Magnum, the Great Forum— it was divided in six areas, the Forum of Trajan, the Forum of Caesar, the Forum of Minerva, the Forum of Augustus and the Temple of Peace. 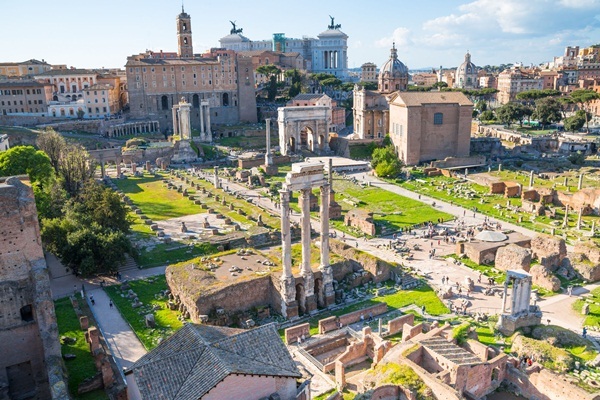 The Roman Forum saw the history of Rome develop from the days of its mythical first king, Romulus, to the days of the last emperors before the fall of the Empire— more than a thousand years of history happened between these colonnades and temples. Some of the most interesting buildings that can be found within the Roman Forum are the Basilica Aemilia, one of the oldest still standing; the Curia, where Senators would meet to discuss the politics of the city; two arches, that of Septimius Severus and Titus, both constructed to celebrate the emperors’ victories in war. There are also four temples, one dedicated to the god Saturn, one to Julius Caesar, one to the goddesses Venus and Roma and the third dedicated to Vesta, who was served by a sacred order of priestess, the Vestals, that lived right here in the Forum, in the House of Vestals. There’s another Basilica, the Basilica of Maxentius, the last major construction to be added to the Forum before the fall of the Empire; and then, of course, there are the main square of the Forum and the Via Sacra, both key places of Roman political and social life. 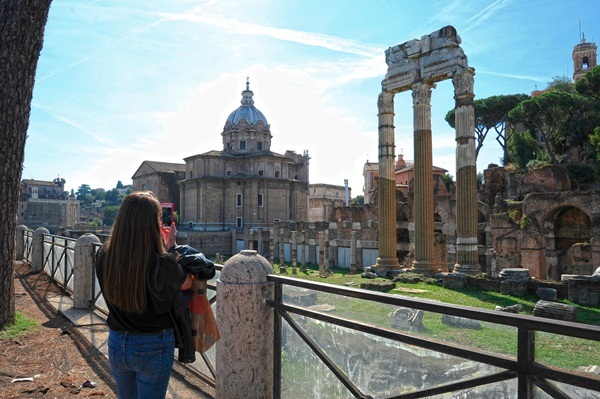 While walking around the Roman Forum, standing in between its glorious ruins guided by a new audio-tour, you will truly feel history come alive— as alive as the fresh flowers that have been left on Caesar’s altar in his temple ever since his death, more than two thousand years ago. Rome has never stopped being the Eternal City, and nowhere is this notion clearer than in the Forum. 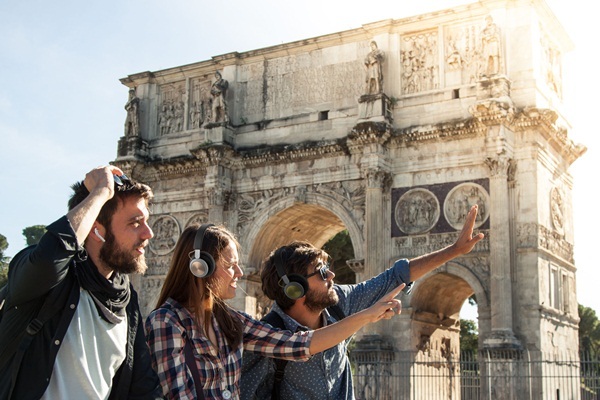 The Roman Forum is today part of the Parco Colosseo archeological area, the same of the Colosseum, the Domus Aurea and the Palatine— all these monuments together make up one of the most famous and most visited archeological destinations in the world.